MasterCard and Absa have unveiled Asia Pacific, Middle East and Africa (APME) with an interactive debit and credit card with MasterCard PayPass technology to enable quick, contactless payments. 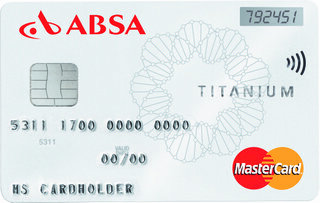 The Absa MasterCard Titanium card combines a built-in LCD display and a touch sensitive button for enhance control and security. The all-in-one payment card combines MasterCard technologies, allowing consumers to perform various transactions without having to carry multiple payment cards or devices. The contactless debit and credit card features an embedded LCD display and a touch-sensitive button, which allows the cardholder to generate a one-time password (OTP) as an authentication security measure when shopping online at participating 3-D Secure merchants. By incorporating MasterCard’s PayPass Tap & Go functionality, APME consumers are offered with a fast, secure and convenient method to pay for everyday low value payments, such as restaurants, gas stations, supermarkets and movie theaters.